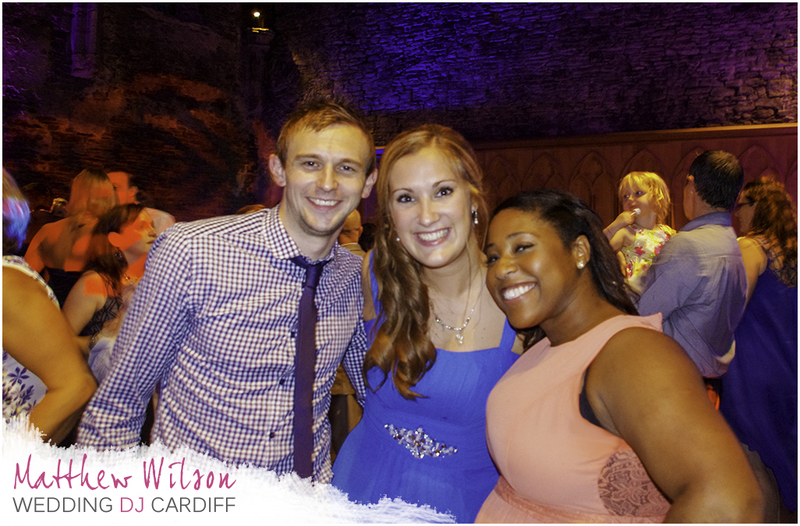 On Saturday the 17th August 2013, Gareth and Victoria got married at the Caerphilly Castle in South Wales. The castle is the largest in Wales and the second largest in the whole of the British Isles. I arrived early in the morning and set up the lights along the aisle and speakers to the side in the large fireplace in order to play the ceremony music. Victoria walked down the aisle to Stereophonics – The First Time Ever I Saw Your Face. It was a lovely moment and there were plenty of tears on both sides of the room! I was invited to dine with the guests throughout the day and I was sat at table 12, which must have been made by Carlsberg because it was probably the best table in the world! 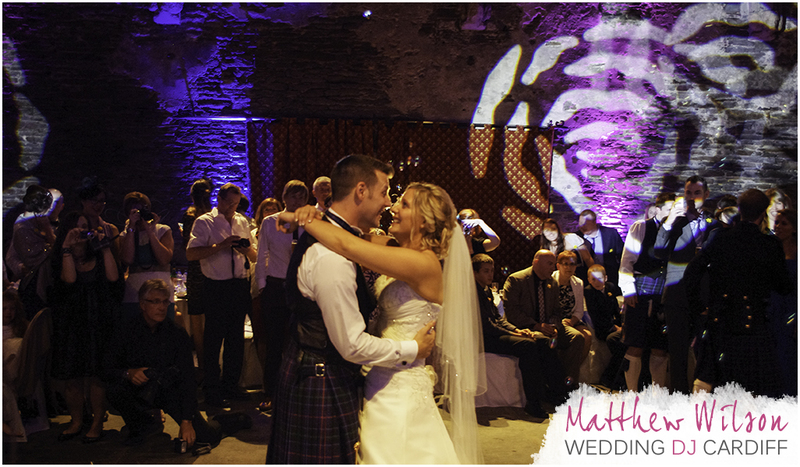 The first dance took place shortly before the evening meal, with all guests gathered around the dance floor. From that point on, the dance floor was never empty. 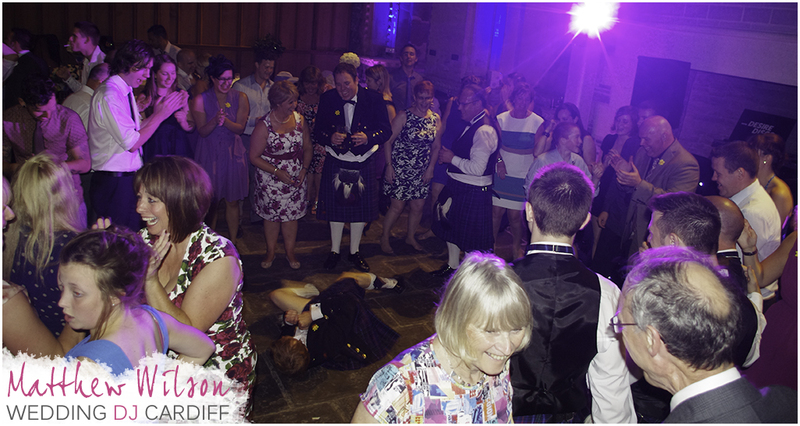 I was handed many request sheets throughout the evening and I was pretty much overrun by them later on in the evening, as the requests kept coming, the guests kept dancing and dancing and dancing! 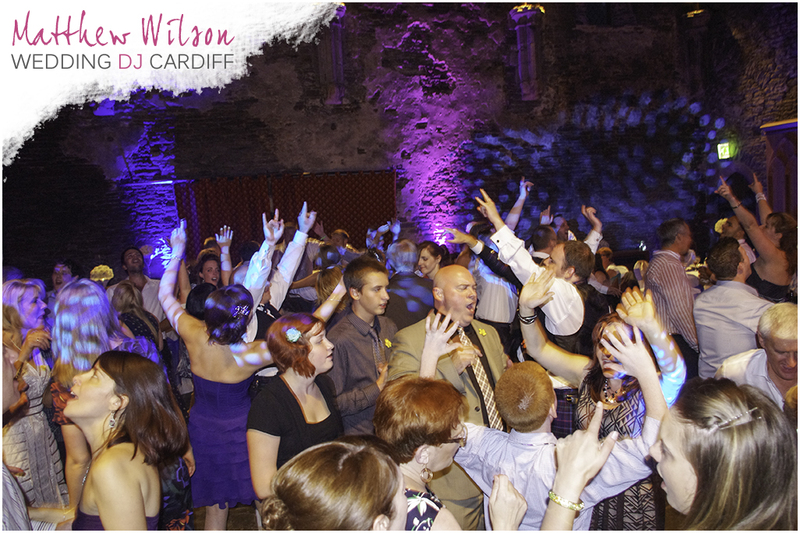 The night drew to a close at midnight, but with the guests shouting for more, I squeezed in one last track – It’s pretty hard to say no to so many happy people! I noticed that some tasks had been set by the bride and groom during the day to capture certain things on camera. One of them was to capture the “worst dancer”, so how about this one? It certainly got people laughing! 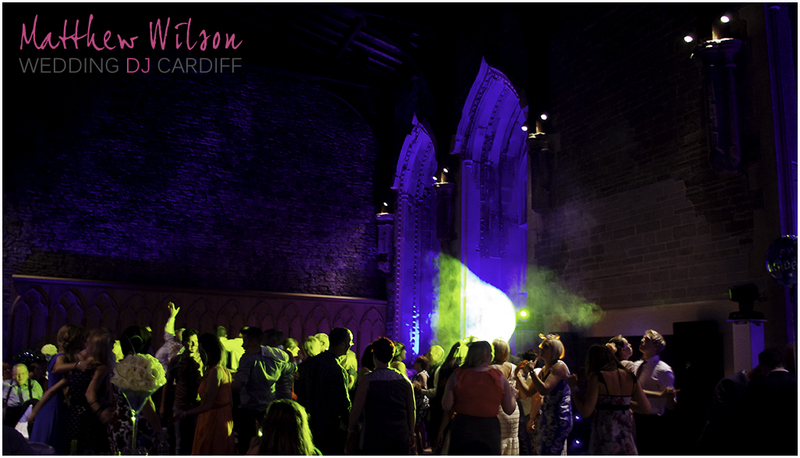 I had a brilliant night performing as the wedding DJ for Gareth and Victoria. I’d like to thank them both for making me part of their very special day and of course to the guests in attendance who really rocked the castle!